There were just about a handful of co-working spaces in India when Awfis started two years ago. Now, there are about 140. Awfis started in April 2015 by offering an 80-seater space in India’s capital city Delhi to small companies, entrepreneurs, and others looking for communal office space on short-term commitments. It now has 21 co-working hubs across eight Indian cities with a combined seating capacity of 7,500. In another two years, Awfis wants to up that number to 100 hubs with 35,000 seats. The scaling up is among several reasons why Sequoia India is betting US$20 million on Awfis in a series A round of capital infusion into the booming co-working spaces business. This is the biggest funding round in the space in India, and Sequoia is going solo with it. The round is even bigger than all of the capital raised by the top 10 highest funded co-working startups in India – combined. Y Combinator, 500 Startups, Blume Ventures, Anthill Ventures, and even Facebook have already backed other Indian companies in the space like Innov8, BHive, 91Springboard, and MyHQ. The investment into Awfis marks Sequoia India’s entry into it. “Awfis is playing on two significant global trends – sharing economy and communities. This being delivered through a superior user experience at a lower total cost makes it more exciting,” comments Abhay Pandey, managing director with Sequoia India, in a funding announcement. Awfis was founded by Amit Ramani, an architect with a masters in real estate and workplace strategy from Cornell University. He has been running architecture, design, and consulting services firm Nelson in India for the last nine years, and that gave him insights into the industry. He pooled in his savings to start Awfis with the backing of a family office run by three sisters – Radha, Raakhe, and Roshini Kapoor – called The Three Sisters: Institutional Office (TTS:IO). Awfis had an initial capital of about US$11 million, the largest for any co-working space in India so far. “While the majority of co-working spaces have focused on the startup ecosystem as their mainstay, from day one, we aimed to convert the conventional office user – those who would take up a traditional office – into an Awfis user. As a result, today our community consists of SMEs, startups, and corporates,” Amit tells Tech in Asia. About 5,000 people work out of Awfis hubs currently and 25 percent of them are from corporates, according to Amit. The biggest chunk of users – 50 percent – are SMEs and the rest, startups. PNB Parivar, ReNew Power, and Zomato are among a few he named. Snapdeal has been a client, too, although it is reported to be moving out of Awfis premises in a cost-cutting move as a prelude to the struggling ecommerce company’s expected merger with Flipkart. Awfis has inked around 100 alliances with companies like Oyo, Paytm, Mega Cabs, Hard Rock Cafe, and Amazon Web Services to provide additional value to its community members. “For example, AWS gives cloud computing credits of almost US$5,000 for our community members. That makes sense for a CEO of a company. Oyo provides discounts to our community members. Paytm, Hard Rock Cafe, and others give various offers,” Amit says. Most companies in the co-working spaces business get into lease agreements with property owners. Awfis too does that for a majority of its hubs. But it also gets into a partnership with the landlords. “We have created a couple of different models. One is the straightforward joint venture where the landlord puts in money with us and shares the profits. Second is what we call a manchise – the Marriott or Starbucks model – where we are the management operator. The landlord makes all the investment, we manage the show for them and charge a fee for that,” Amit explains. This makes Awfis’ capital go further. WeWork, a global pioneer in co-working hubs, has just announced its foray into the corporate real estate industry. It wants to give the traditional real estate firms a good run for their money by getting into service contracts with big corporates who will rely on WeWork for the design, development, and management of its centers. WeWork calls it Onsite Solutions. This is similar to the ‘manchise’ model Awfis has been running. WeWork, which is valued at about US$17 billion, is close to raising a US$2 billion primary tranche of funding, followed by a secondary round worth more than US$1 billion from SoftBank, according to CNBC. The company has more than 150 hubs in 15 countries. Most of the fresh funding raised by Awfis will go into aggressive expansion with more hubs in more locations. “Because that is our business and growth driver,” Amit says. The next chunk will go into marketing and brand building. The third chunk will be spent on building its tech muscle. “Our app platform allows us to be just-in-time and lets our users do everything online – be it buying any SMB products in our centers or interacting with the community or booking a space across India,” he says. It has some tech tools on the anvil. Seat maps, for instance. This will let users take a virtual tour of Awfis centers and pick a seat they like based on what’s available. “We are also looking at helping users track their movements within our space – that could have both health and productivity angles,” Amit says. Awfis wants to bring auctions into the space and is testing a product for that as well. 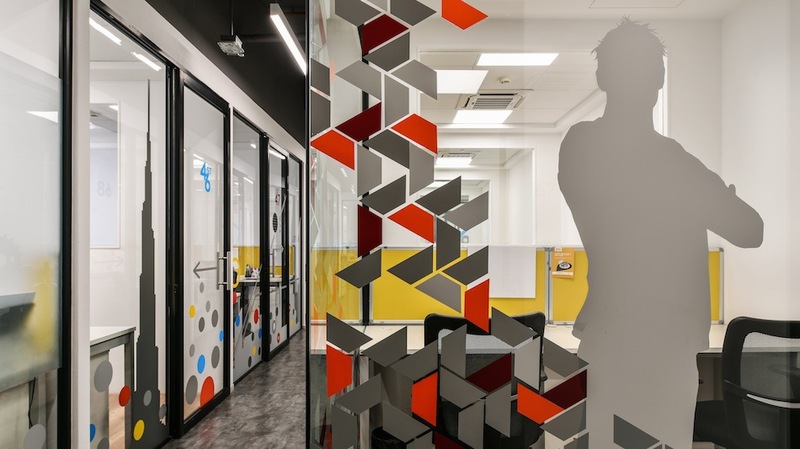 So far, co-working spaces in India have drawn an investment of US$12.6 million – apart from Awfis’ latest US$20 million – in 16 deals, according to venture capital intelligence database Tracxn. Tracxn lists a total of 139 co-working spaces, four of which have already deadpooled. “The reality is that co-working hubs are a business that requires core understanding of real estate industry, design of spaces, and a hospitality mindset to manage and run the show. Besides, it requires investment to scale. If you don’t have scale, you can’t offer the kind of benefits you want to offer by bringing the larger community together,” says Amit. His experience with Nelson and later with Petra, a facility management venture he founded, made a difference. “Nelson and Petra allowed us to quickly deliver on the infrastructure through our partners and do well because the basics were managed by us. The bigger challenge is changing people’s mindsets – I want my own office, it should have my name on the board and be exclusive to me. That mindset change is something we are attempting,” he says. Amit sees a lot of me-too players entering the field but feels that most will fall by the wayside. There will be casualties in the next 18-24 months, he tells me. “Some which will die and some which will get consolidated. The big boys will survive,” he says.